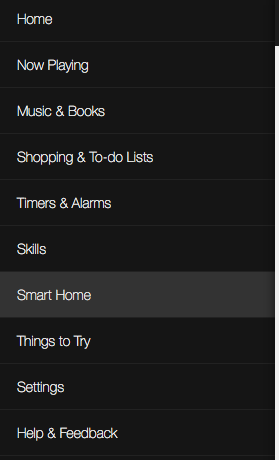 Log into your Alexa app account. 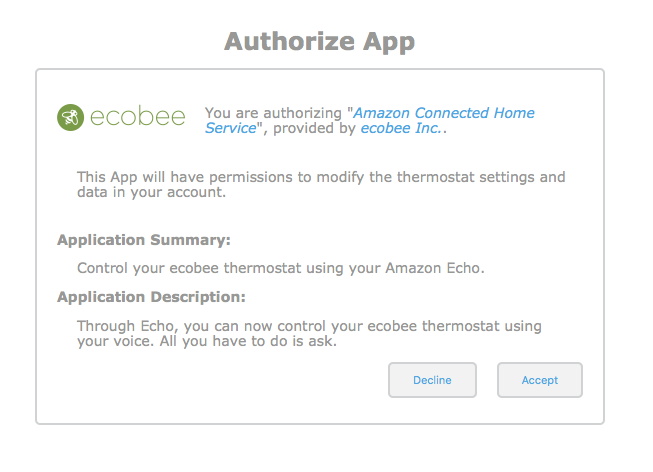 Select Accept under the Authorize App screen to link your ecobee to your Alexa account. Now that your ecobee is successfully linked, you'll need to have Alexa discover your ecobee. 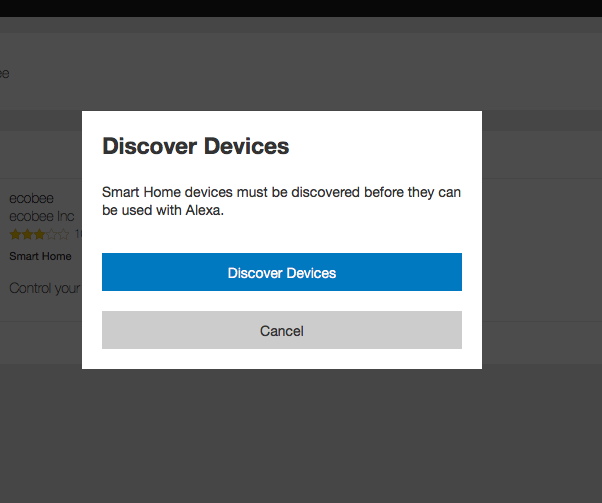 To do so, return to the Alexa app and select discover devices.